Monster High Eyes Обои 1280x800. Monster High Eyes Обои 1280x800. 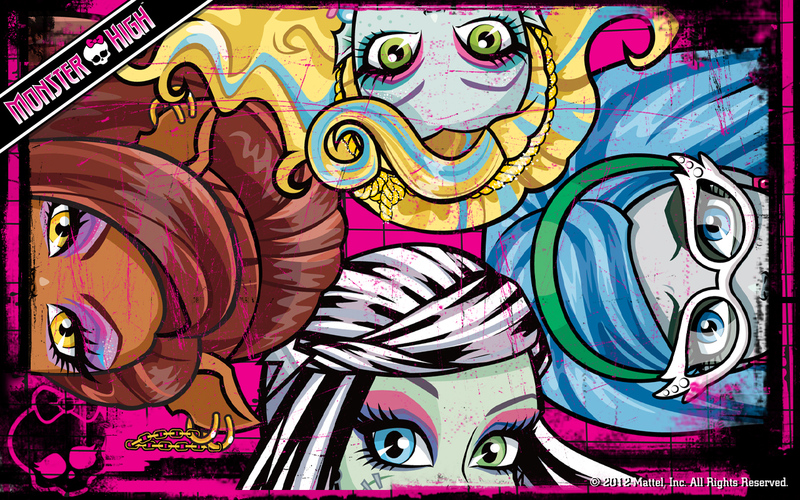 HD Wallpaper and background images in the Школа Монстров club tagged: monster high eyes. This Школа Монстров wallpaper contains аниме, комиксы, манга, анимационные фильмы, комикс, мультфильм, and книга комиксов. There might also be витраж. I love monster high they have on the picture the dolls I already have!!!!!!!!! Draculaura's and Clawd Wolfs Любовь story: Chapter 1, Эй, I'm Draculaura!